advanced training for teachers and support staff. 1994 – He graduated from Ivan Franko State University of Lviv, Faculty of Philology, honours degree. 1997 – He completed postgraduate studies at Lviv University, attained the academic title of Candidate of Philology («Cultural Historical School in the History of Ukrainian Folklore Studies»). 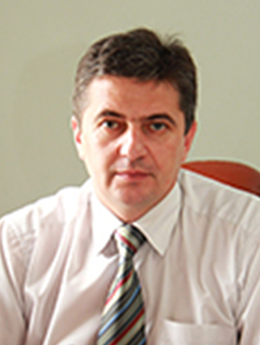 1997-2011 – Lecturer, since 2001 – Docent at the Department of Ukrainian Folklore Studies, since 2004 – Dean of the Faculty of Philology at Lviv University. 2010 – He attained the academic title of Doctor of Philology («Ethnic aesthetics of the Ukrainian Singing Folklore»). History of Ukrainian Folklore Studies, folklore research methodology, ethnopsychology and ethnic aesthetics. Author of about 60 academic papers.